New and improved with a delicious butter mint flavor! Treat your lips to silky smooth moisture. This quick-absorb lip balm saturates to keep your lips silky soft all day long (and all night strong). Your lips will always be ready to be Simply Kissed™. 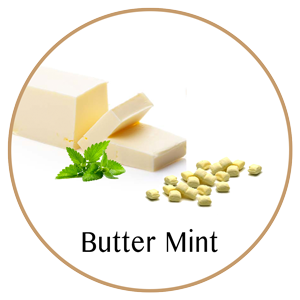 Cool, creamy mint blended with buttery richness for a delicious and refreshing taste. 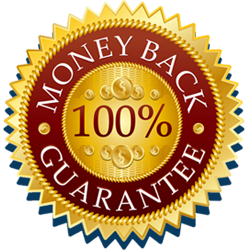 Every Bliss Kiss™ product comes with a 100% Money Back Guarantee. If you are not satisfied for any reason, let us know and we will replace your product or issue a full refund. Dry, chapped lips don’t stand a chance with Simply Kissed™ Moisturizing Lip Balm. Bliss Kiss™ just kicked lip moisturizing up a notch with our new lip balm. A unique blend of all natural ingredients gently and effectively moisturizes your lips to bring out the soft, supple, smoochable you. No Additives. No Preservatives. No Colorants. No Fragrances. No Kidding. There’s nothing more satisfying than finding that perfect lip balm, right? One that saturates your lips with moisture, yet leaves them silky smooth after it wears off. And we aren’t talking about the ultra waxy kind of lip balm that sticks to everything one minute and is completely gone the next. We’re talking real, honest-to-goodness moisturized! This frustration at the lack of a good lip balm set Ana on her quest for a solution. Settling for anything less was not an option. It turned out that this wasn’t a simple request. It took Mrs. Chemist months of experimenting with different recipe variations before creating the perfect blend that lived up to Ana’s requirements: And Simply Kissed™ was born. Simply Kissed™ lip balm is a unique blend of five natural ingredients with no additives, preservatives, colorants or fragrances. Many lip balms contain petroleum derivatives which actually cause dryness and require even more frequent applications. Mrs. Chemist worked with varying percentages of organic coconut oil, jojoba wax ester, beeswax, pharmaceutical grade lanolin and vitamin E to get it just right. Please note: Although this lip balm uses healing ingredients from nature, it is not vegetarian or vegan. Lanolin (the natural waterproofing substance sheep secrete to keep them warm and dry) is a pivotal ingredient in our formula. Lanolin is extracted from the unprocessed sheep wool after the sheep have been shorn. Lanolin keeps skin soft and supple in the same way that it protects the sheep. "That means lanolin is not only a good waterproofing agent, but it's also very compatible with skin. It's particularly good for softening skin because of its emollient properties." As our loyal Bliss Kiss™ customers know, Ana rigorously tests all our products on herself before bringing them to market. If a potential product doesn’t solve a problem, meet her criteria and change her life for the better, Ana won’t offer it to you. Because you deserve the best. Simply Kissed™. It’s Ana tested, and Ana approved. Note: Some people experience a mild allergic reaction to lanolin. Before applying liberally, make sure you test a small patch of skin with Simply Kissed to make sure you aren’t allergic to lanolin. This lip balm is the bomb! It smells good and makes my lips so very soft. I have purchased a few lip balms from Bliss Kiss and truth be told, I don't buy from anyone else.